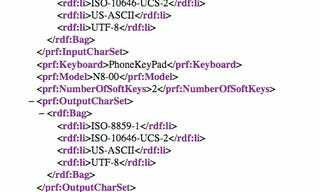 The leaked Nokia N8-00 hardware we spied just days ago got a bit more official today thanks to some intrepid XML file sniffing over at Nokia.com. Details gleaned from the code include the model number, N8-00, and "Symbian/3", which would all but confirm the presence of a Symbian^3 OS on this phone. Resolution is listed at a N97-like 360 x 640, probably on a (rumored) capacitive touchscreen. Bluetooth support and WiFi and GPRS/EGPRS/EDGE/WCDMA/HSDPA radio support is in there too.